The European Society for Clinical Virology assures to collect and use only those personal data of its members which is necessary for the support and administration of members as well as for the pursuit of the association’s goals. The data collected and stored by the European Society for Clinical Virology for the processing, administration and termination of the membership defined by the statutes and the purpose of the association, include personal data (name, address, date of birth, E-Mail address, telephone and fax number) and possibly other data necessary for the type of membership [professional affiliation, training status, payment information, date of graduation…]. See the membership form for more details. As a rule, the European Society for Clinical Virology will not collect or store credit card or sensitive data. According to the GDPR, every member has a right to get information about the data stored by him or her. The European Society for Clinical Virology processes and stores the personal data provided only as long as this is necessary for the fulfilment of the aforementioned purposes. This data will be deleted once the purpose has been achieved and after statutory retention obligations have expired. Each member has the right to rectification of its data, revocation of the consent or deletion of personal data, as long as this does not contradict the purpose of the association as stated in the statutes of association. The European Society for Clinical Virology collects and stores this data by means of data processing equipment (EDP) to fulfil its statutory purposes and tasks in accordance with the provisions of the EU General Data Protection Regulation (GDPR) and has implemented appropriate technical and organisational measures to ensure that no unauthorised access to the data made available (and no unlawful processing of the data) takes place. As far as this is necessary for the fulfilment of the contract or justified within the scope of justified interests of the European Society for Clinical Virology, personal data will also be transmitted to contract processors (service providers) employed by the European Society for Clinical Virology, if they comply with the data protection requirements specified in writing by the European Society for Clinical Virology and commit themselves to secrecy towards the European Society for Clinical Virology. For this purpose, an order processing agreement is concluded with the service providers used. Data is only transferred to countries outside the EU or the EEA (so-called third countries) with your consent. The membership office will send you regular correspondence in relation to your membership (e.g. invitation to renew your membership, confirmation of payment etc.). The ESCV will also send regular newsletters on ESCV activities, an invitation to complete an anonymised survey at regular intervals, as well as announcements of future ESCV conferences or ESCV supported courses. You may unsubscribe from these e-mailings writing to secretariat.escv@kenes.com. This will not affect official correspondence from the conference secretariat. 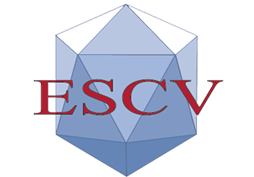 The ESCV provides a directory of members in the password protected member area of the ESCV website. Your consent provided, the following data will be visible to other ESCV members: Name, degree, professional address. The full list of members cannot be downloaded from the website. The ESDV will pass personal data of its members to the publisher of the official journal Journal of Clinical Virology (currently Elservier) in relation to the dispatch of the issues of the journal. Individual consent provided, data of ESCV members will be forwarded to the publisher in relation to email services provided by the publisher. 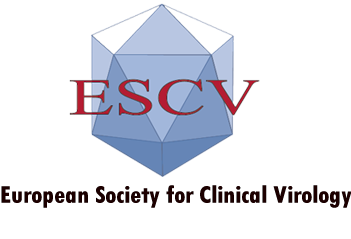 For concerns and questions regarding data protection of the European Society for Clinical Virology, please contact the administrative office: secretariat.escv@kenes.com.